Can I feed both – Olewo Carrots and Red Beets? Pet Owners often ask if they can feed both, Olewo Carrots and Olewo Red Beets. Yes, a dog can have a daily dose of each. Carrots and red beets each provide different benefits, and by feeding both, your dog can reap the full benefits of these two nutrient rich root vegetables. An understanding of the association between food and the gut for increased immunity and overall health is just now gaining momentum, as is the role in preventing disease through the promotion of a gut-healthy diet. 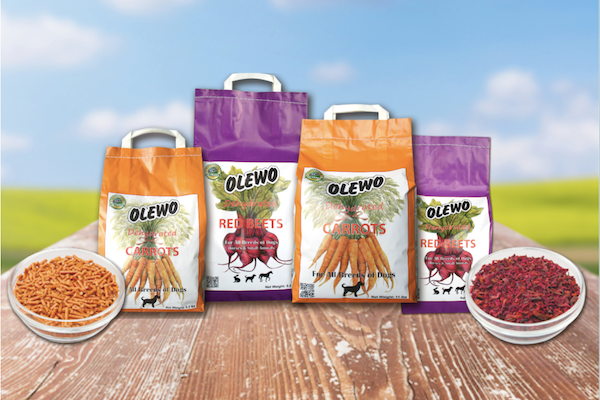 While Olewo Carrots are most commonly known for the benefits listed above, Promoting Gut Health in general truly is the # 1 health benefit, and the # 1 reason why every dog should receive, and deserves to receive Olewo Carrots with the daily meal regimen, no matter what you are feeding. Gut health literally affects your dog’s entire body. You might not attribute digestive problems to allergies, joint pain, autoimmune diseases, and even cancer, but many diseases seemingly unrelated are actually caused by gut problems. Your dog can develop Leaky Gut Syndrome, an increasingly widespread condition, and without intervention it leads to a lifetime of chronic disease and misery. The lining of the gut becomes inflamed and more permeable (porous) than normal. The abnormally large spaces (holes) present between the cells of the gut wall allow the entry of unwanted material directly into the bloodstream that would, in healthier circumstances, be repelled and eliminated. The gut becomes leaky in the sense that undigested food particles, bacteria, fungi, parasites and their toxins, normally not absorbed into the bloodstream in the healthy state, pass through a damaged, porous or “leaky” gut. The leaky gut syndrome is almost always associated with allergies and autoimmune disease and stopping and reversing autoimmune disease depends on healing the lining of the gastrointestinal tract. Any other treatment is just symptom suppression. 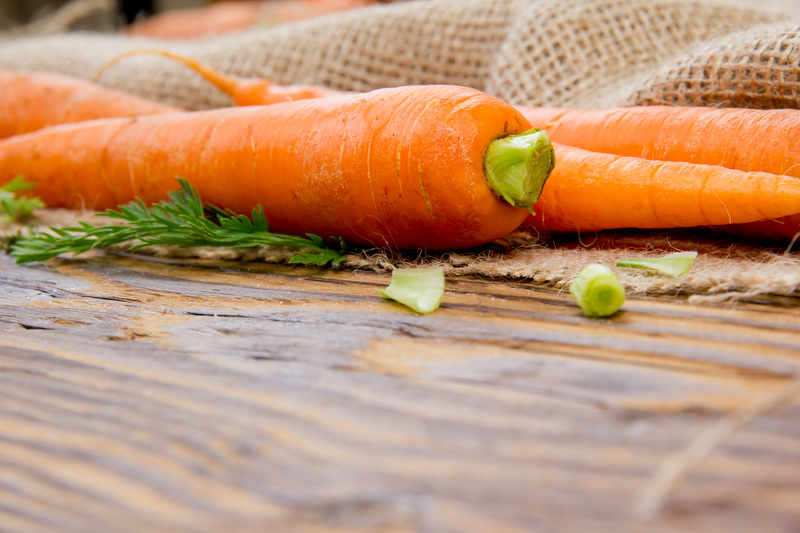 Olewo Carrots can help to heal the gut lining, reduce inflammation in the gut, soothe the irritated digestive tract and calming it in order to allow healing to occur. We live in a world with more toxins than any other time in history. Just like humans, dogs are exposed to many toxic chemicals every day. Toxins are in the air they breathe, the food they eat, the water they drink; the drugs, vaccines and flea treatments they receive. Toxins also enter the body through bacteria, fungi, parasites, and infections, and the list goes on. When the dog’s system gets overburdened with toxins, nutrients may not get processed and used effectively by the body. The first signs of trouble usually show up in the form of irritated, inflamed skin and constant itching and sratching. If not addressed, it can even put the dog at an increased risk for disease, tumors, and even cancer. Detoxing your dog is now more important than ever. With Olewo Red Beets you can naturally detoxify your dog without harmful drugs or chemicals. Olewo Red Beets contain abundant nutrients and compounds that counteract and neutralize toxins so they can be exerted through the urine and flushed out of the body. Additionally, the fiber in beets helps to “sweep” the digestive tract of waste and toxins while restoring healthy and regular bowel movements. The average dog’s diet is high in inflammatory properties from processed foods, high amounts of sugar, and low amounts of nutrients. Consuming whole foods like beets is an excellent way to reduce the immune system from triggering ongoing harmful levels of high inflammation. The anti-inflammatory betaine compounds found in red beetroot have been shown to inhibit the activity of enzymes which the body uses to trigger inflammation. While some inflammation is necessary and important for the body to undergo normal repair processes, too much inflammation is a very big concern. Many Olewo customers have been able to discontinue their dog’s treatments of immune suppressive drugs, or steroids, which is the typical approach in Western Veterinary Medicine. While these drugs temporarily reduce inflammation, these approaches do not address the underlying condition that caused the inflammation. As a result, the dog will have additional flare ups and will need additional treatments with these drugs which add more toxins to the body – it’s a vicious cycle . Olewo Red Beets help boost immunity and can help keep inflammation at bay, naturally. Reduced levels of inflammation help nearly ever system within the dog’s body and fight off diseases including arthritis, colitis, inflammatory bowel disease, dermatitis and pancreatitis.